Lately, I've had the chance to review some great kids music from local New York City based bands. I don't usually do a lot of kids music reviews, but I'm glad I had the chance to listen to these, because it's not often you find music equally enjoyed by both the littles and the bigs in a family. Oh how I hope to write those same words when my kids are teenagers. Here are three great kids CDs, all highly recommended as having tunes all will be happy to hear. The New York-based Bari Koral Family Rock Band recently released their sophomore CD on February 14, and it is already a favorite with all three of my children. In addition to the title track Anna and the Cupcakes, which is a delightful tale of what happens when you sneak too many cupcakes, there is the beautiful song of parental love, Hearts, as well as a fast-paced rendition of Kick Drum Heart which my son sings along to so adorably I don't mind how many times he asks to hear it. Another big hit for any train-obsessed toddler is the Train Song, also much beloved by my toddler son. Monkey Monkey Music – What Are the Odds? Meredith LeVande, the musician behind Monkey Monkey Music, has plenty of upbeat tunes for young listeners on her 2010 release What Are the Odds? 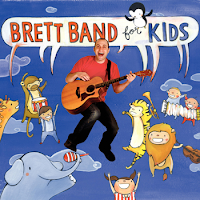 In November, 2011, Brett Rothenhaus, the Brett in Brett Band and an Early Childhood Music Educator, released his second album, the 4-song EP, Bathtime. The title track Bathtime, makes taking a bath sound so enticing it’s hard to imagine even the most intractable toddler refusing entry to the tub after hearing this tune. The song Elevator introduces counting in both English and Spanish, and is perfect for elevator-loving City kids – and their parents – everywhere. 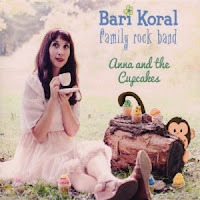 Disclosure: I received copies of Bari Koral's And Monkey Monkey Music's CDs for review. 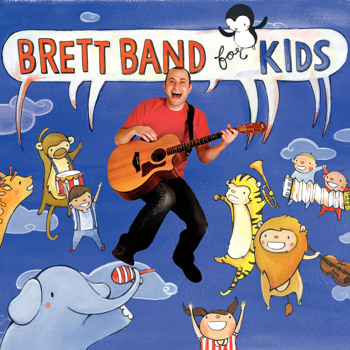 I listened to Brett Band online. I rarely do music reviews, so that alone should tell you that if I took the time to write about these selections, it's because they are really, really good. My kids love them some pop music but honestly, I've been thinking more and more about "reverting" to kid-friendly tuneage. It's just plain scary hearing a 5YO boy sing "put your hands on me in my skin tight jeans" Katy Perry-style. Thanks for the recommendations! That's awesome! Most kids' music hurts my ears. This actually makes me a little misty because I put a lot of care into picking out music for my kids, and these great options remind me of those. would love to hear some of your music picks! I know how you feel. It's great when you find some great tunes the whole family can enjoy. My two-year-old likes to sing the "la, la, la" part of Tonight by Hot Chelle Rae - which is adorable. But today he sang the line, "and my girlfriend cheated on me," which was much less adorable. though admittedly pretty funnny. Big Duckie Back in the Spotlight! Annie the Musical Returns to Broadway this Fall!